Whenever I hear Cubans talk about their nation’s advancements in health care, and when I think about where the U.S. is on all this, what I hear is a tale of two scarcities. The tales, however, end differently for the people of color who are the main characters. Although Cuba has, for the past five decades, struggled to bring health care to all its citizens in the wake of a U.S. embargo that’s crippled its ability to purchase drugs and medical equipment, it has kept most of its people well because it cannot afford for them to get sick. “If you don’t see the doctor, the doctor will come to see you,” Juan Jacomino, a Radio Havana journalist who acted as our guide during a recent trip to one of the island’s many polyclinics, told me. So Cuba has taken great steps to build health care around family and community. Physicians and nurses share the same neighborhoods with their patients. If someone isn’t going for checkups, it doesn’t go unnoticed. And its people, the majority of whom are of African descent, still manage to live as long as or longer than many people in the U.S. Us being the U.S. Us being a nation of great material wealth, but where primary care doctors, who are the backbone of Cuba’s health care system, are scarce and becoming scarcer. No doctor or nurse is going to knock on people’s doors if they miss their annual checkup. And in communities of color, far too many people use hospital emergency rooms as an after-hours doctor’s office. Which is why I’m hoping that a recent agreement between the U.S. Department of Health and Human Services and the Cuban government to collaborate on solutions to pressing health issues will also include strategies on how not to let people get sick to begin with. Right now, the two nations plan to work together on global health issues such as HIV transmission from mother to child, which Cuba has virtually eliminated, and how to prevent the spread of diseases such as Ebola and dengue fever. Cuba has also developed a drug to treat diabetic-foot patients, a treatment that has been around since 2007 but has yet to be tested in the U.S. Yet what the U.S. ought to be working to replicate from Cuba are ways to make primary care doctors more available and accessible to people in poor, mostly black and Latino communities—and then finding ways to persuade people in those communities to use them. Unfortunately, ideology and old habits will likely make that difficult. I say this because the Affordable Care Act, which attempts to reduce health care costs by making people obtain insurance and take care of themselves, continues to be derided as socialism by those who are more committed to Cold War fearmongering than actual problem-solving. On top of that, Congress, which is now dominated by Tea Party lawmakers, has voted more than 50 times to repeal the Affordable Care Act, which the Supreme Court has upheld, and which is bringing down health care costs and helping millions more Americans afford health care. Nineteen states refuse to expand Medicaid, which would help more people receive the kind of preventive care that would stave off emergency room visits and more expensive treatment for manageable and avoidable conditions. Unbelievably, Mississippi, which is next to last among the 50 states in health outcomes, still won’t expand Medicaid. Not to mention that even a simple attempt by first lady Michelle Obama to grow healthier children by creating healthier school lunch standards was fought by lawmakers who viewed it as another attempt by government to control people’s lives rather than save lives. In other words, some people would rather subsidize obesity than common sense. Then there are the old, sad habits; habits that include people in poorer, mostly minority communities going so long without primary care until they actually trust emergency rooms more with their health. To be sure, some things are happening to reverse that predicament. The Department of Health and Human Services now plans to expand funding for community health centers. 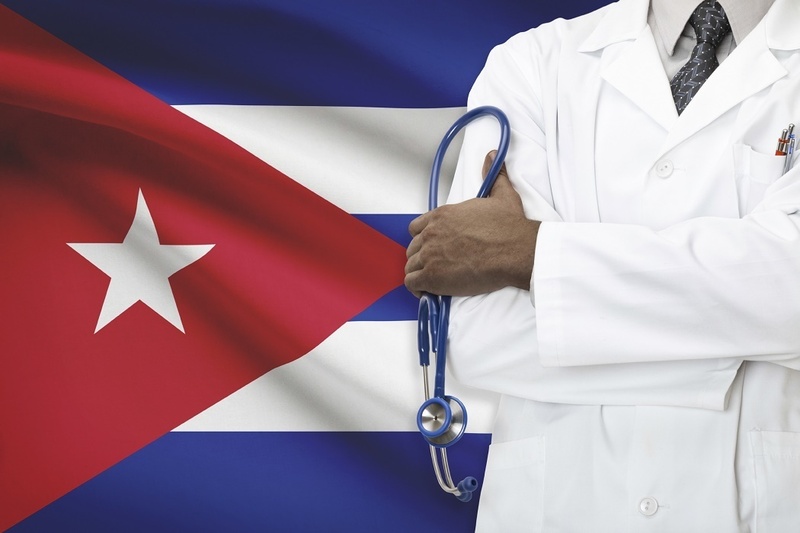 These centers could build on the kind of preventive care provided to families by Cuba’s polyclinics, where people begin to associate a doctor with being well rather than with being sick. But the biggest challenge that the U.S. will have, even as it looks to collaborate with Cuba on what it has achieved despite the embargo and despite shortages, is how to deal with the kinds of scarcities that continue to keep many Americans, especially poor and minority Americans, from becoming healthier. Namely, scarcities of political will, compassion and common sense.